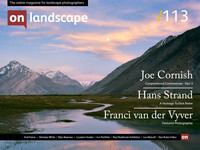 Paul is a landscape photographer based in Loughborough, Leicestershire. He shoots mainly landscapes but is also equally comfortable shooting travel photography. Paul is a frequent visitor to France and has a number of collections based on his travels around the Dordogne and Lot regions of the country, to which he has become very familiar. For years I have enjoyed the peace and serenity that can be found next to the water, regardless of the size and whether or not it is natural or manmade. Wherever I go I always find myself drawn to the water, scrambling down an embankment (and often falling in!) to get right on the edge. It is here that you see the water and surrounding landscape from a different perspective. For the last couple of years I have been trying to figure out how this project came about and what it really means to me. Although inspiration is difficult to put into words, for me it seems to have come from strong memories, drawing me back to places that remind me of simpler times. I loved my childhood. A particularly strong memory which I recall with great fondness was our yearly two week holiday to Scarborough. Staying in the same place every time and visiting the same coastal treasures, that time spent on the coast with my family I will never forget. Another large part of my life from a very young age has been fishing. When I was young, many days were spent on the side of rivers and canals with my brother and mum fishing. Mum would sit in her fold up chair reading books and my brother and I would fish. Most of the time he would be untangling my line from a nearby tree whilst cursing me or rescuing me from falling into the water, but still, they were great times. In fact, when I think back, water was and has been a key factor in some of the most enjoyable parts of my younger years. In 2009 I discovered Cropston Reservoir. Situated on the edge of Bradgate Park in Leicestershire, it is just like any other reservoir, but to me it soon became a place of great mystery and appeal. Very quickly I began to see great mystery in the shore lines. Fly fishing boats moored on the beach like shores, half covered with a shroud of mist, sitting perfectly still waiting for the fisherman to come early morning and take them out into the water. I started walking the shoreline and spent many cold, misty mornings crouching on the shore waiting for some subtle light to rear its head. 99% of the time I was left with no real shot, but every now and then the light would be ideal for my colour palette and I would drive home with excitement and anticipation, just waiting to see what the camera had captured. This soon became my ‘go to’ place. Whenever I had lost my photography mojo I would nip out to the reservoir. Just me, the boats and maybe some mist. The feeling that Cropston gave me initially, and continues to give me some 7 years after first discovering it is addictive. I think that this location and others like it, ignite my childhood fishing memories which form half of my love of water, the other half is satisfied by the coast. As a child I spent a lot of time with my family on the North Yorkshire coastline and am very familiar with this area. When the opportunity came to return and also visit the North East and Northumberland coastline with Rob Knight on one of the R&K Photographic residentials, I jumped at it. I was not disappointed. There are some stunning, iconic locations along this coastline and the photographic opportunities are endless. When I visited this area in 2014 and again in 2015 I was full speed into my project, so much so that the pictures kept flowing with greater ease than normal, in fact around 50% of the images in the exhibition are from those two separate weeks. I think it is those early years that pull me back to the water’s edge. Obviously now I am older I can appreciate more the quality of light and subtle colours that reflect off the water at either end of the day, but the love of that scene is the same as it always was. Scene from the Water’s Edge is to be exhibited in the Sock Gallery, Loughborough Town Hall, Market Place, Loughborough LE11 3EB from 12th May – 25th June 2016. The exhibition is kindly supported by Fotospeed and all images are printed on their Signature range of fine art papers.